TAG Heuer is the brand that introduced many of us to the world of luxury timepieces. It is currently undergoing an evolution, reinvigorating the brand to ensure it remains one of the most relevant manufactures in the industry. Despite its history and success, the brand remains true to its reputation of providing uncompromising Swiss quality with aggressive pricing. Simply, TAG Heuer defines affordable luxury. At Baselworld this year, I was excited to experience the energy of TAG Heuer as they announced two new pieces that really caught my attention. While I'm familiar with many of their iconic designs, the soon-tobe-released Heuer 01 and 02 demonstrate creativity and innovation that is true to the brand's pedigree. During a recent visit to Switzerland, I was invited to TAG Heuer headquarters in La Chaux de Fonds to learn more about the brand. But this was more than just a visit. With the new TAG Heuer 01 and perhaps even its Tourbillon sibling now on my "wish list," it was an opportunity to investigate these new timepieces. Entering the main lobby, I was impressed with the contemporary decor. Perhaps I was over analyzing, but considering the brand's classic designs, the modern lobby seemed ahead of its pedigree. Or was it? Perhaps this was more indicative of the creativity that provides the genesis of their new models. In any case, my first impression was..."impressive." 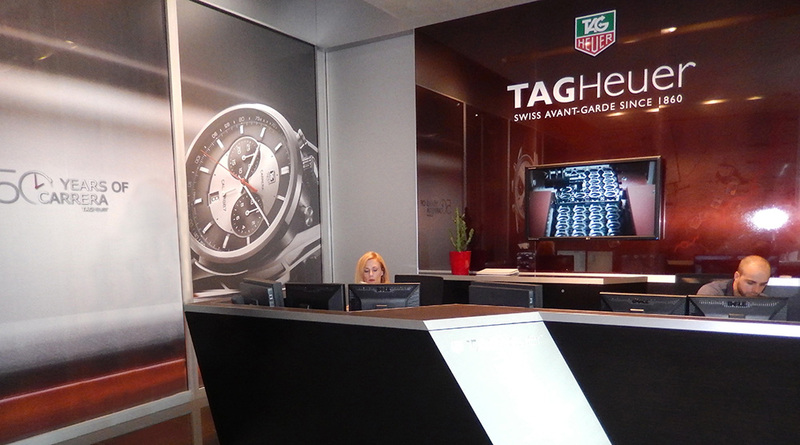 The La Chaux-de-Fonds Headquarters is one of several TAG Heuer facilities throughout Switzerland. Besides administrative and marketing departments, this location is ground zero for design, prototyping and testing of new models as well as final assembly of their automatic watches. First stop is the design department where ideas are transformed into a three dimensional computer models. This step not only provides the first visual representation of a new concept, it also helps determine technical feasibility and production requirements. From there, we were off to an area where components or even entire watches are created in wax that actually feels more like a hard plastic or resin. Essentially it is a 3-D printing process that allows them to quickly generate a mock-up to closely scrutinize visual and tactile characteristics and refine these details with great efficiency. 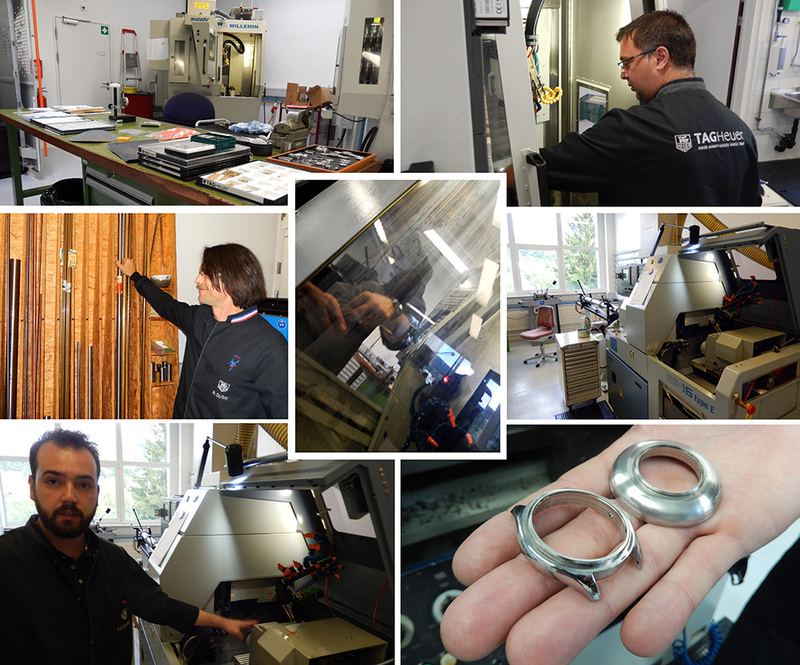 In TAG Heuer's prototyping department, there is a full compliment of CNC machinery and tooling capable of producing nearly every component of a movement, case or bracelet. While it's common to see such an arsenal in a production facility, it is impressive to see this array of capabilities dedicated solely to prototyping. At first glance, much of the machinery appears to be traditional lathes and milling equipment, until you realize these are the terminating nodes in a high tech pipeline that began in the aforementioned design department. From the initial 3-D renderings, technical data is transmitted throughout the prototyping department, to quickly create what to the naked eye appears as a finished piece. A full compliment of polishing tools and accessories ensure prototypes are accurate representations of the final products. No matter how well a watch works on paper or as a 3-D rendering, we as collectors know that there are visual and tactile characteristics that have to be experienced to appreciate. TAG Heuer clearly understands this and embraces these concepts by placing such a strong emphasis on the prototype process. The efficiency of TAG Heuer's design process allows them to quickly develop prototypes and refine the minutest details well before a new model is sent to their production facilities and released for public consumption. But will they crack under pressure? 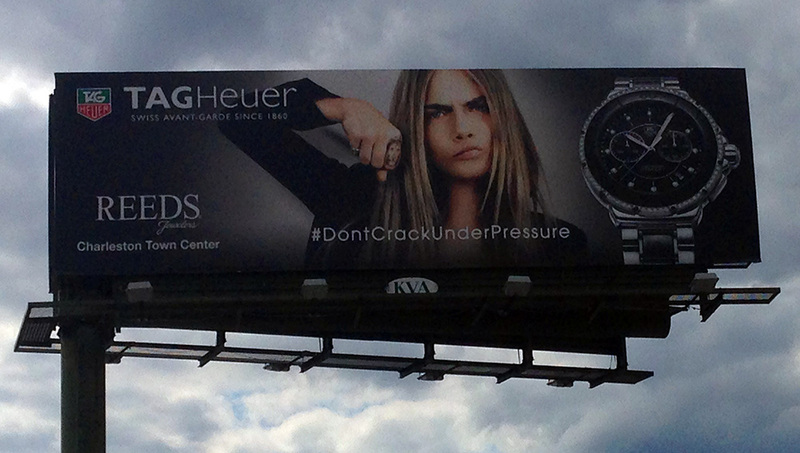 Everyday upon leaving work in my small Appalachian hometown, I pass by a billboard with the now famous image of lion princess and brand ambassador Cara Delevingne with the slogan, "Don't Crack under Pressure." It's a bold statement that initially seemed a mere marketing strategy. Following my visit to TAG Heuer, I found the company is committed to quality and can unequivocally back up the inferences of this statement. I have to admit I was surprised if not impressed with the time and resources allocated to brutalizing timepieces in the name of quality control. In the first test I witnessed, they placed a watch in a plastic container full of an eclectic mix of what can only describe as "stuff." Upon further inspection, I realized the contents included pens, pencils and an array of plastic and paper goods typically found in a handbag. 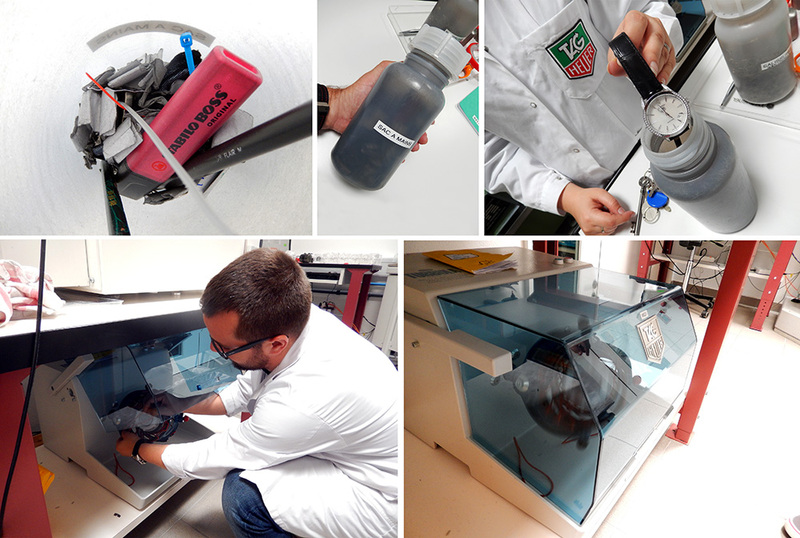 By placing the container in a machine that shakes the contents for thousands of cycles, TAG Heuer is able to monitor the wear and effects of foreign objects that commonly contact a watch. Not only are the entire watches tested for wear, but individual components undergo a battery of specific tests to ensure they can endure the rigors of the real world. One series of devices subject bracelets to a stress test that simulates heavy wear. 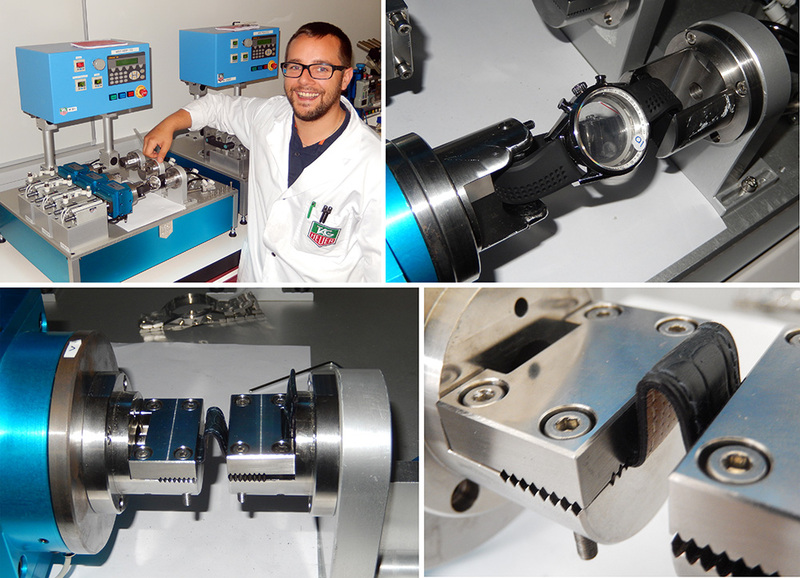 Multiple bracelets are mounted to this machine that pulls and shakes the bracelets continuously for 100,000 cycles over eight hours to ensure they withstand constant wear. Next, the bracelets are immersed in a container filled with ceramic chips that vibrate for 48 hours to induce wear to the fit and finish of the bracelet and simulate three years of continuous wear. The bracelets then are sent back to the previous stress test before returning to the ceramic chips. Each bracelet alternates between these two tests five times before it is removed and analyzed. Even leather and rubber straps undergo rigorous testing for wear. Two machines torture straps on and off the case by twisting and pulling them for 5,000 cycles to ensure quality. As a watch enthusiast, I couldn't help but cringe at the violent nature of the tests to which these cases and movements are subjected. Sometimes, technology gives way to brute force. In one test, for instance, a hammer-like device swings down to strike a finished watch directly on the back, crystal and then from the nine o'clock position, each time jettisoning the watch into a nearby basket. Perhaps this "test" seems a bit medieval, but it is accurate in simulating an accidental strike that we all experience from time to time. Another shock test starts with the finished watch fixed in an acrylic case that distributed shock evenly through the watch. Each unit is dropped several times from more than 30cm then 4,000 times from 5cm. Again, the goal is to simulate regular use and identify any potential areas for improvement. Finally, the watch undergoes atmospheric tests. 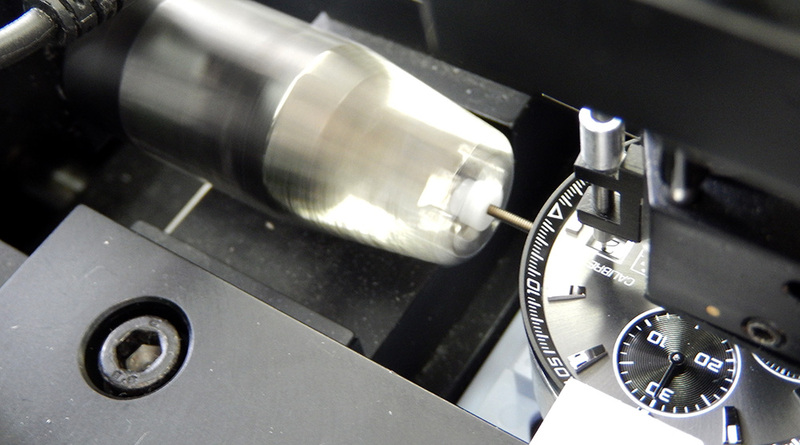 Helium testing allows TAG Heuer to subject a watch to underwater pressures while being able to visually identify any breach to the case's integrity. As one of the smallest molecules, testing with helium identifies miniscule leaks that would be lost with the use of nitrogen or oxygen, the primary components of air. In essence, TAG Heuer tests to atmospheric tolerances well beyond those encountered in real world wear. TAG Heuer's after sales service department appeared rather sparse during my visit. Perhaps that's a good sign, a testament to the effectiveness of TAG Heuer's design and testing. I couldn't help but notice that TAG Heuer After Sales Service is collocated with the testing facilities. 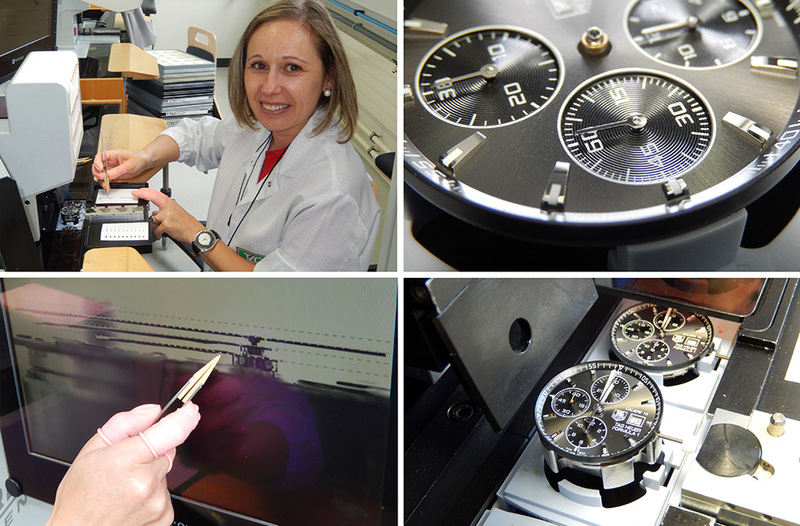 The proximity of these two departments allows a close collaboration between those who design, build and test and those who service timepieces from customers. I certainly understand and appreciate the amount of abuse that goes into testing new models but was taken aback when they explained that this isn't just for assessing new designs. 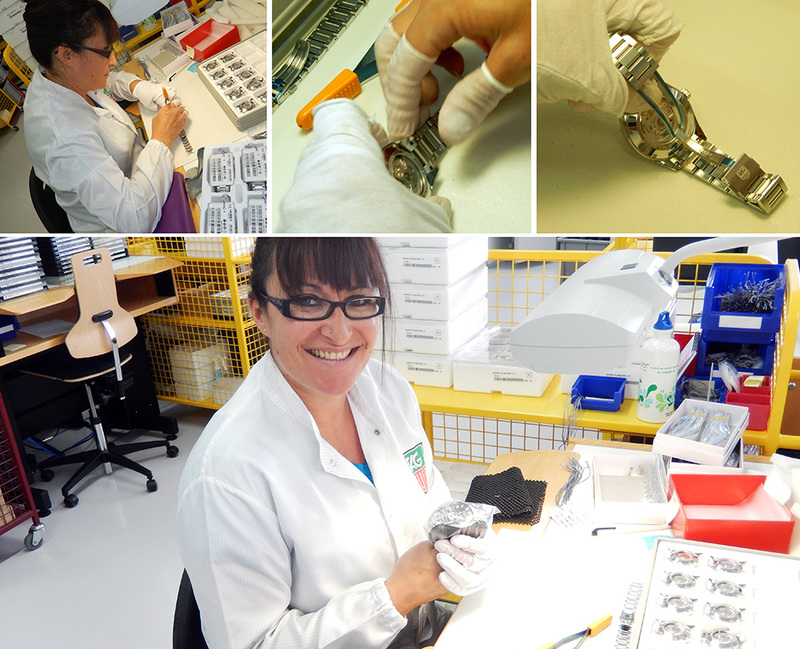 On a regular basis, TAG Heuer randomly pulls timepieces from their production line and subjects them to the same battery of tests to ensure this quality is maintained throughout the production process. No doubt it is this comprehensive approach to quality control that not only validates their mantra, but ensures with great certainty that their products "Don't Crack Under Pressure." With manufacturing facilities throughout Switzerland, components for automatic models arrive at La Chaux-de-Fonds where they undergo final assembly. Depending on the model, features such as the calendar mechanism are added to the movement that arrives preassembled. Next, the dial is precisely fixed to the movement. Once the dial is fixed, a machine rotates the crown, advancing the time setting system in the movement until the date jumps. At this point, they can set the hands and ensure the date changes as the hands strike midnight. The hands are carefully set with a high precision machine with a video camera that provides a visual reference to ensure each hand is accurately aligned. Call me a geek, but I always get excited at the point where the movement is cased. There's something magic about the moment when all these parts and processes culminate in what now identifies as a watch. After observing each step of assembly up close, you can now take a step back, see the collective efforts and really have an appreciation for the complexity of manufacturing these pieces. Even once the movement is cased, the creation of a TAG Heuer timepiece is far from complete. 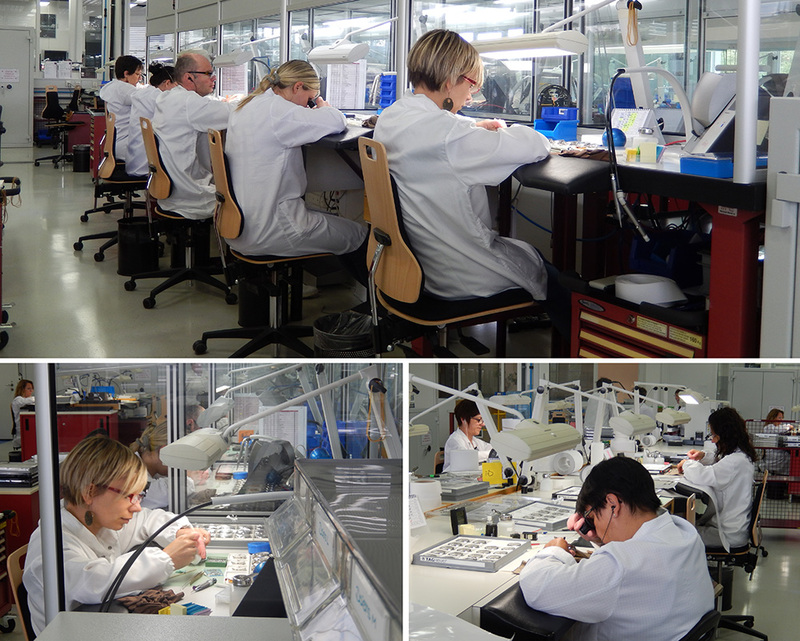 There is still a comprehensive series of tests conducted on each and every watch assembled in La Chaux-de-Fonds. At this TAG Heuer facility, every single watch undergoes two types of waterproof tests, a pressure test (dry test) and wet test. For the wet test, watches go into a water tank in which they apply the maximum rated pressure (depth) for each particular model. The next test is a condensation test where the watches are heated (around 40°C) and then a cold drop of water is placed on the crystal. If there is condensation inside the, the watch is not 100% waterproof and is rejected. Once a piece passes the technical controls (automatic winding, timing check in different positions...) it is given a careful visual and final inspection. In the final step, bracelets or straps are added and the finished piece is logged into the database and packaged for shipping. I've had the privilege of visiting several manufactures over the years and I must admit that despite the volume of watches created by TAG Heuer, it is very reassuring to see that every piece is hand assembled with the care and precision expected of a quality Swiss timepiece. What impressed me the most during this visit however was witnessing first-hand, the time and resources dedicated along every step of design and assembly to ensure that a TAG Heuer won't "Crack Under Pressure." There's no doubt in my mind that it's more than a marketing slogan, it's a way of life for those whose efforts create precision and quality that defines the brand.